ESKENAZI PERNIDJI ADVOGADOS was founded in 1945 by Joseph Eskenazi Pernidji and for more than 74 years continuously has advised and represented both local and international clients in a broad range of sectors. The office is composed by experienced lawyers, highly capable to assist clients in technically complex and sophisticated projects. The firm endeavors to develop strategic relations with clients, assisting them in the most diverse aspects of their personal and professional trajectories, both in national and international matters. The firm has a vast knowledge of corporate law, tax, mergers and acquisitions, wealth and succession planning, privatizations, among others, providing our clients with personal and individualized services. We assist our clients in corporate law (corporate acts and reorganization, M&A and public offerings in Brazil, transactions for sale of control, etc.). We have experienced lawyers in tax planning and international taxation matters (transfer pricing, treats to avoid double taxation, etc.). We have a team of lawyers dedicated to assisting individuals and their families with the legal questions involved in succession planning and organizing assets and business, in Brazil and abroad, designing and implementing legal solutions, in association with foreign law firms to ensure our client a complete legal support. We assist our clients in debt restructuring processes involving regulatory agencies, suppliers, financial creditors and investors in general. We have experienced lawyers with thorough knowledge of the capital markets legislations and regulations, advising clients in matters such as international credit facilities, swaps, securitization of receivables and other transaction on the stock market (public and private offerings, ADRS, BDRS, commercial paper, bonds and notes). We have large experience in privatization, assisting our clients in corporate, civil and tax aspects and in the negotiation of relevant documents and agreements (consortiums, joint ventures, investment agreement and shareholders agreement). We have large experience in advising our clients on questions related to the regulation of the securities market and compliance with currency control rules issued by the National Monetary Council (CMN) and the Brazilian Central Bank concerning foreign investments in Brazil, Brazilian investments abroad, foreign trade and in administrative proceedings within the Brazilian Central Bank and the Conselho de Recursos do Sistema Financeiro Nacional. We have an experienced professional team to assist our clients in the structuring of investment funds (equity funds, FIPs, real estate funds, receivables funds, FIDCs), with vast knowledge of the regulations of the Brazilian Securities Commission (CVM). We assist our clients in negotiating complex agreements in all types of real estate transactions (purchase and sales, leases, security interests, etc.). We assist our clients in complex negotiations and dispute resolution proceedings in Brazil and in other countries. Holds a degree in Law from the State University of Rio de Janeiro (UERJ), 1977. Joined the Brazilian Bar Association (OAB/RJ) in July 1978 and the Portuguese Bar Association in 2015. Practice areas: corporate, tax, banking laws, finance and capital markets law, privatization, M&A. Active participation as legal consultant in the restructuring of Brazilian companies, both in private and state owned corporations. Assistant professor of Corporate Law at the Universidade Cândido Mendes, Rio de Janeiro. Guest lecturer in extension courses on Foreign Exchange at Getúlio Vargas Foundation and IBMEC (“Brazilian Institute of Capital Markets”). Acted as legal consultant for the task force formed by the Getúlio Vargas Foundation for the reform of the law regulating foreign investments in Brazil sponsored by BM&F (“Commodities and Futures Exchange”), São Paulo, ANORO (“National Gold Association”), ANDIMA (“National Association of Open Market Institutions”) and BVRJ (“Rio de Janeiro Stock Market”). Co­author of the book named Direito das Companhias (The Lan of Brazilian Corporations) Vol. I and II, coordinated by Alfredo Lamy Filho and José Luiz Bulhões Pedreira, published 2009. Holds a degree in Law from the State University of Rio de Janeiro (UERJ), 1987. Member of the Brazilian Bar Association (OAB/RJ). Member of the Brazilian Association of Finance Law (“Associação Brasileira de Direito Financeiro – ABDF)” and of the Inernational Fiscal Association (IFA). 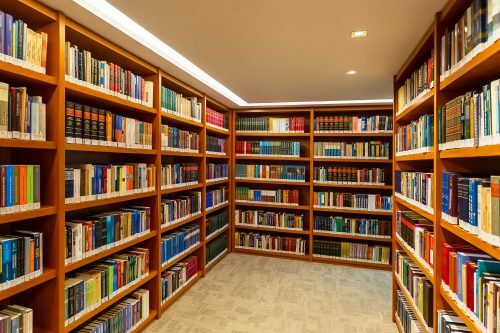 Practice areas: Commercial and Partnership Law; M&A, Legislation concerning Project Finance; Corporate Law, Foreign Investments in Brazil and Brazilian Investments Abroad; Corporate and International Taxation; Real Estate Laws; and Exchange of international information for fiscal purposes and Brazilian anti-corruption law. Holds a degree in Law from the Catholic University of Rio de Janeiro, 1991. Joined the Brazilian Bar Association (OAB/RJ) in October 1991. Assistant professor at the Rio de Janeiro Catholic University in Civil Law and Civil Procedural Law (1992). Professor at the Center for Management Studies of Cândido Mendes University. Professor for the extension programs from 1993 to 1996. Professor of Commercial Law at Cândido Mendes University (1993/1994). Holds a degree in Law from the Catholic University of Rio de Janeiro, 1994. Joined the Brazilian Bar Association (OAB/RJ) in June 1994. Practice areas: Civil, Commercial, Corporate and Finance and Capital Markets. Holds a degree in Law from the Catholic University of Rio de Janeiro, 1999. Joined the Brazilian Bar Association (OAB/RJ) in 1999. Practice areas: Civil, Commercial, Banking, Investment Funds, Finance and Capital Markets. Extension course: Corporate Law and Stock Market Legislation, Getúlio Vargas Foundation, 2003. Holds a degree in Law from the Cândido Mendes University, 2003. Joined the Brazilian Bar Association (OAB/RJ) in 2003. Practice areas: Civil, Commercial, Corporate and Banking. Holds a degree in Law from the Catholic University of Rio de Janeiro, 2005. Joined the Brazilian Bar Association (OAB/RJ) in 2007. Practice areas: Civil, Commercial, Corporate, Banking and Real Estate. Master of Laws (LLM), Boston University Law School, USA, 2009. Extension course in corporate Law and Stock Market Legislation, Getúlio Vargas Foundation, 2007. Holds a degree in Law from the Federal University of Bahia, 1995. Member of the Brazilian Bar Association, Rio de Janeiro. Master of Laws (LLM), The University of Michigan Law School, USA, 2007. Attorney of the National Treasury, in the areas of tax litigation (São Paulo, 2000­2003), International Financial Operations (Brasília, aug2007­aug2008), National Financial System Appeals Council (Brasilia, sep2008­jan­2009). General­Coordinator of Assets Recovery, Ministry of Justice (Brasília, 2003­2006). Law Clerk, Federal Court, Bahia (1995­2000). Holds a degree in Law from the Brazilian Institute of Capital Markets, 2009. Joined the Brazilian Bar Association (OAB/RJ) in 2010. Holds a degree in Law from Universidade Federal do Rio de Janeiro ­ UFRJ, in December 2011. Joined the Bar Association of Brazil, Rio de Janeiro Section in March 2012. Holds a degree in Law from Universidade Estácio de Sá. Joined the Bar Association of Brazil, Rio de Janeiro. Practice Areas: Commercial and Partnership Law; Legislation concerning Project Finance; Corporate Law, Foreign Investments in Brazil and Brazilian Investments Abroad; Taxation; and Finance and Capital Markets Legislation. Holds a degree in Law from Pontifícia Universidade Católica do Rio de Janeiro, in December 2015. Joined the Bar Association of Brazil, Rio de Janeiro, in 2014. Holds a degree in Law from Instituto Brasileiro de Mercados de Capitais – Ibmec, in July 2017. Joined the Bar Association of Brazil, Rio de Janeiro, in July 2017. Practice Areas: Commercial, Partnership and Real Estate Laws; Foreign Investments in Brazil and Brazilian Investments Abroad; Corporate and International Taxation; Finance and Capital Markets Legislation; Exchange of International Information for tax purposes and Brazilian anti-corruption Law.